Given the extreme weather conditions, keeping a close eye on all our crops is proving quite challenging. We are starting work as early as possible in the gardens and getting any hard labour completed before midday, as the afternoon sun makes working conditions unbearable. 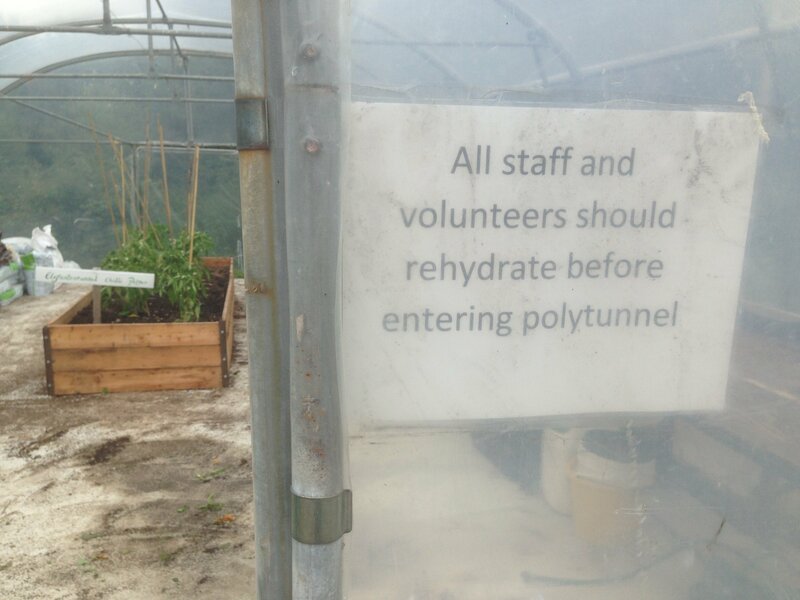 When you enter the polytunnels it’s like stepping into a tropical country and we’ve even had to erect signs to remind all staff and visitors to hydrate after being in the tunnels. 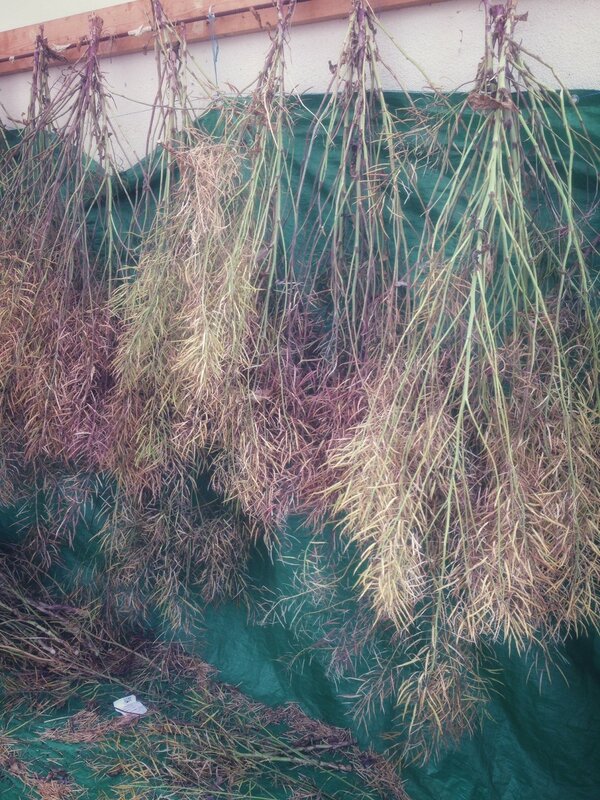 The harvesting of our seeds has begun and we have just hung up our Ellen Swede, they will mature a bit more while hanging but bringing them inside now keeps the birds from eating the seed. Peas, parsnips, some flowers and lettuces are all being harvested at the moment before our main harvesting season kicks in. July is the calm before the storm so we use this time to catch up on a lot of maintenance tasks. Feeding our tomatoes, peppers, cucumbers and courgettes. As always there is constant weeding to be done, but with the help of a good hoe it’s far less taxing on your knees and back. For the first time every, we are having to water the rootstocks we will be using for the coming grafting season. The ground is so dry that it’s making this summer one of the most challenging for our orchard and nursery team. However In the nursery our potted trees are thriving, a combination of our irrigation system and the constant sunshine are promoting really strong growth in our apple trees. When harvesting your apple crop this year you many notice the size of your apples may be a bit smaller, due to the lack of rain, but they’ll still taste as good.